"No one really looks like this without a great team and magic." Kelly Clarkson is all about keeping it real! 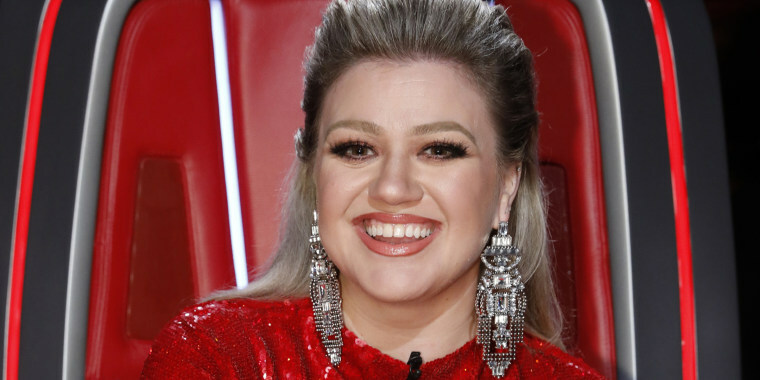 The singer and vocal coach has always looked fabulous on “The Voice,” and she recently gave her fans a behind-the-scenes peek at how she got glam for the season 14 finale. Clarkson, 36, revealed how she went from a fresh, makeup-free face to the dramatic look she rocked during the final episode. The "Voice" coach also shouted out to the members of her beauty team and mentioned that her red, sparkly dress was made by London-based designer Ashish. Clarkson says she posted the video to help her young, female fans keep things in perspective. “Me and my glam squad decided to show people the before/after so every little girl out there knows that no one really looks like this without a great team and magic,” she wrote on Instagram. She also took the opportunity to celebrate season 14 winner, Brynn Cartelli, featuring Cartelli’s first single, “Walk My Way,” as the video’s accompaniment track. Clarkson has always been open and down-to-earth with her fans. She regularly posts makeup-free photos on social media, and she often speaks out on how she stays confident even when people criticize or body-shame her online. Thanks, Kelly Clarkson, for always being a role model!